You’ll often see real estate investors marketing under the slogan ‘WE BUY HOUSES CASH‘. 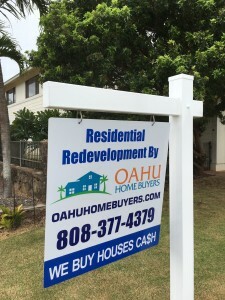 While we all know that at the end of the day all transactions in Hawaii or elsewhere record in cash — no one is using poker chips or clamshells, after all — there is a big difference between buying a house with cash and attempting to buy it with a traditional conventional mortgage. Liquid Cash – just like it sounds, this is when a buyer uses their own liquid cash sitting in their bank account. It’s relatively straightforward — fund escrow, record the sale and that’s it. Private Money – This is where a real estate investor like us uses the liquidity of others. This is also called private mortgage lending, and it’s a great way for investors like us to leverage the existing capital of someone else. For example, someone may have money sitting in a bank account not earning any interest or they may feel at risk investing in the stock market. By investing in one of our projects instead, they reap the benefits of a high, fixed interest rate along with the security of a mortgage against the very property we purchased. Hard Money – Buying a house with hard money is similar to using private mortgage money except that the hard money lender places their clients’ funds instead of their own. While the cost of hard money to an investor can be higher than private money where you’re negotiating one-on-one, it can also be readily available within days. If you’re selling your house, then just know that we often use either hard money and/or private money to buy our houses. 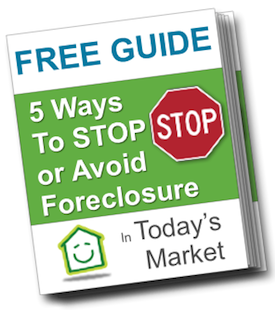 It’s what lets us buy three, four, five, maybe even six houses at once, all closing quickly without any of the hassles that you often face if selling to retail buyers. It’s our job to make it easy for you to sell your house for cash.